This chocolate chip cookie dough recipe, sans egg, finally allows you to eat that “raw” cookie dough you always wanted to. Who does not love cookie dough? This was a special request from my older son, who begs me for a taste of raw dough every time I make any kind of cookies. I get it: admit it, we all remember nibbling on Nestle Toll House refrigerated Chocolate Chip Cookie Dough at one time or another. And then Ben & Jerry’s popularized the consumption of dough with its 1991 classic ice cream flavor. So, at my son’s request, I developed this safe, healthier, vegan-friendly recipe made with a little bit of almond flour and almond butter. This one-bowl cookie dough recipe hits just the right spot for all those cookie dough fans out there, myself included. As a big cookie lover, I can’t say these are better than fully baked cookies, but these cookie dough bites are a fun treat that does not take much time at all. 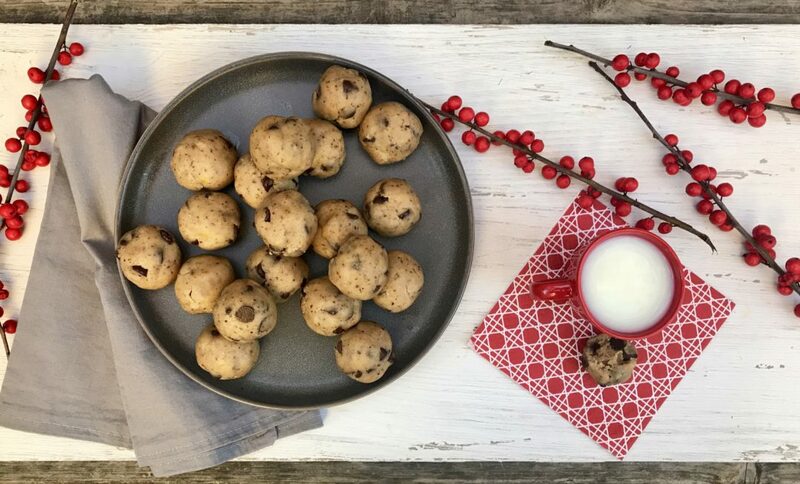 There are a few alternations you can make with this recipe for chocolate chip cookie dough bites. I like to mix all-purpose and almond flour; but either one would work just fine. Spelt flour is another great alternative. Instead of almond butter, cashew butter works nicely. And coconut oil can be use instead of vegan buttery spread if you prefer. (When I make this for my niece who has food allergies, I omit the almond component and just increase the buttery spread.) You can also use regular chocolate chips instead of non-dairy ones if you prefer, if you aren’t concerned about staying vegan. 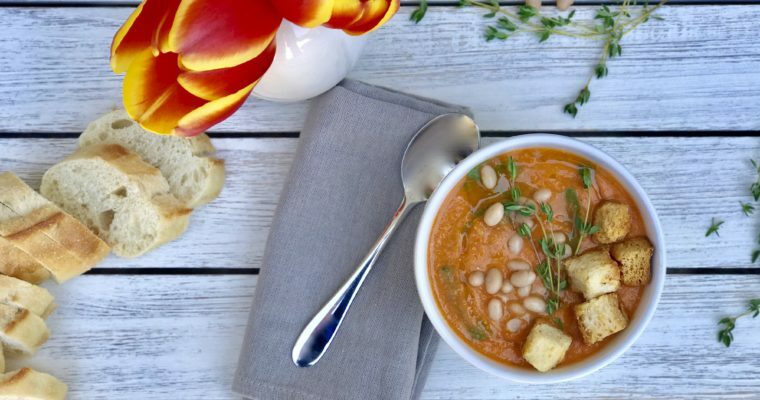 The recipe is solid and holds up just fine with slight changes. This is a great recipe to experiment with, as long as you keep the ratio of wet to dry ingredients roughly comparable. 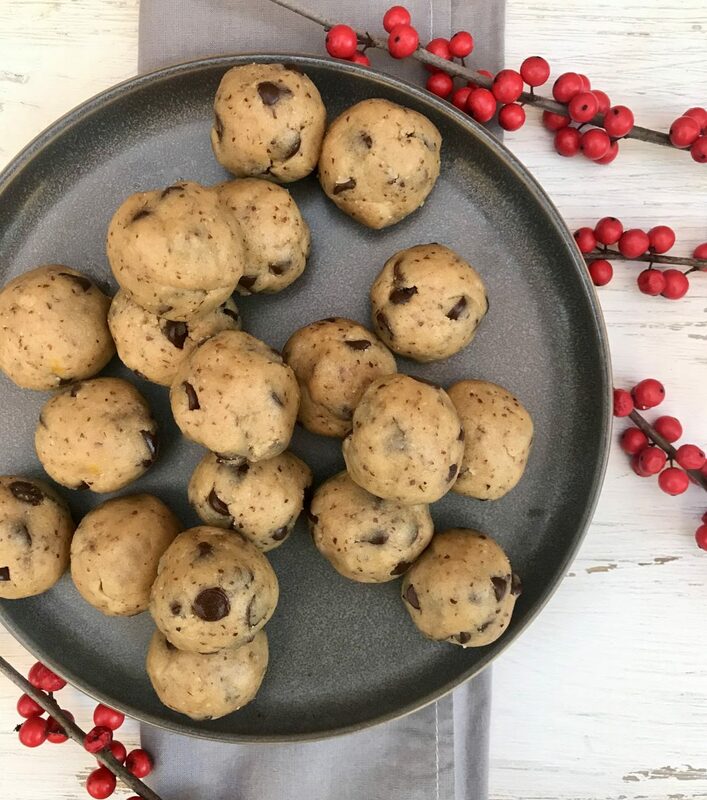 I also included a few links to other delicious eggless cookie dough recipes I like that you can try out, if you like this one. As I said, this is easy to make, and this is one that the kids can safely work on themselves, safely snacking a bit as they go. Step 1 In a medium size mixing bowl, add the buttery spread, light brown sugar and vanilla extract. 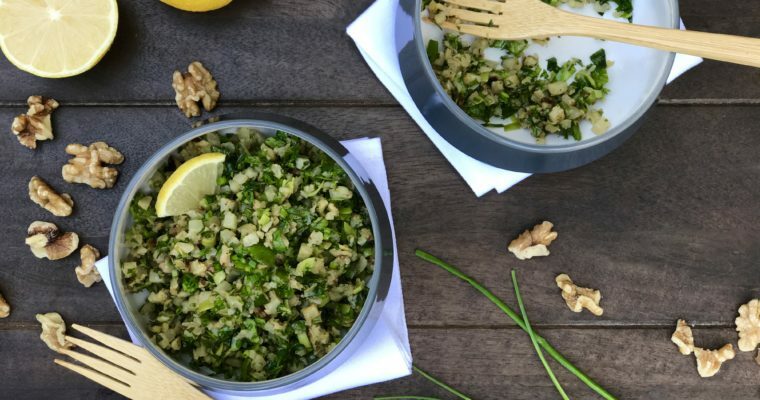 Using a spatula, mix well to incorporate. Make sure all the butter has been incorporated evenly. Step 2 Add the flours and salt and mix well to combine. Fold in the chocolate chips. Step 3 Ideally, refrigerate the dough for 1 hour to set. Step 4 When the dough has chilled, roll into 12 small balls and serve. Store in an airtight container in the refrigerator.